Most consumers are aware of the link between eating and health and have learned basic nutritional concepts. While we know very little about what consumers know about vitamin E, the level of knowledge of the average consumer is most likely low, as the debate about healthy eating has been dominated by issues around macronutrients. To the extent that consumers have such knowledge, it may be discrepant from nutritional facts, as consumers often obtain information on health and nutrition from websites with limited control over the accuracy of the information and with sometimes questionable means of evaluating the reliability of the source. However, existing knowledge about the role of nutrition information in consumer decision-making suggests that the effects of such knowledge are not big anyhow. 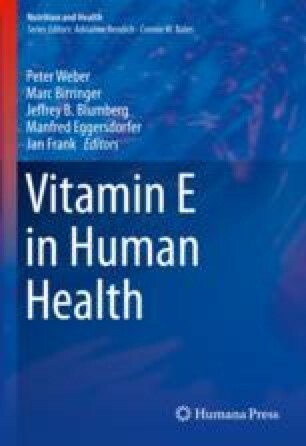 Any efforts to change consumers’ intake of vitamin E by changes in volitional behaviour are likely to be difficult unless they can be linked to a specific health concern.